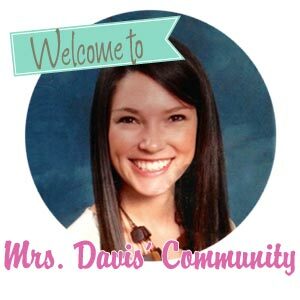 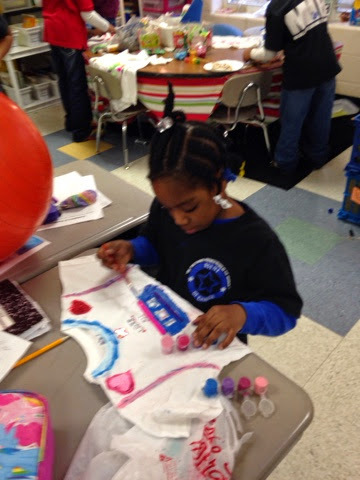 This week, we began planning and working on IB economics project. 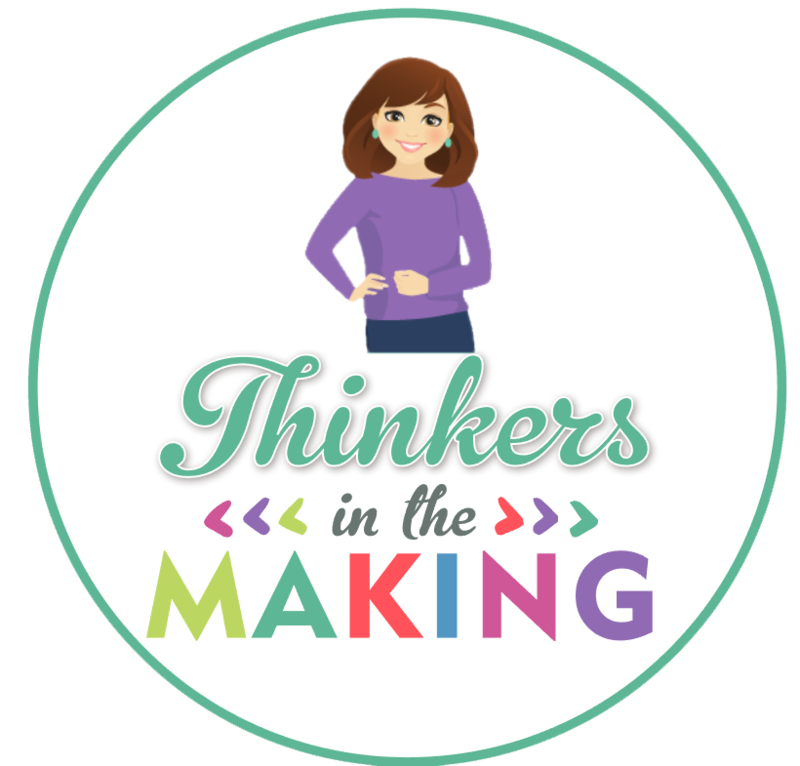 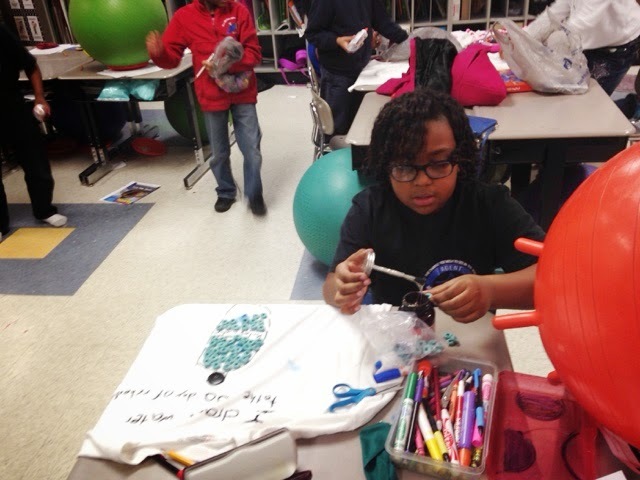 The central idea for this unit is "Creative economic ideas can have a positive impact on humankind and the environment." 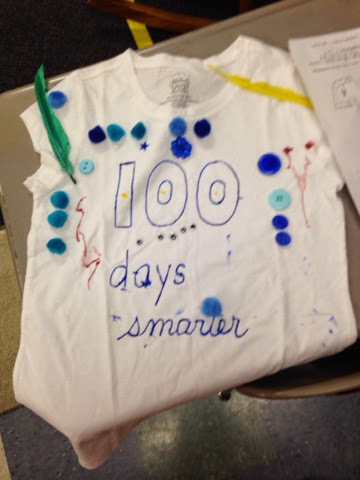 The students' job was to create a 100th day of school t-shirt that would be marketable to others. 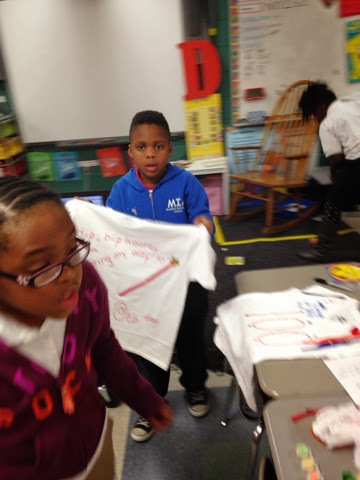 First, they created a design on paper what their t-shirt would look like. 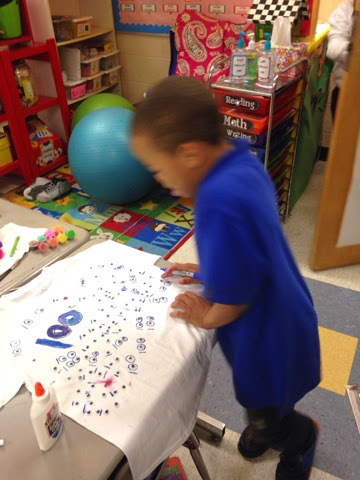 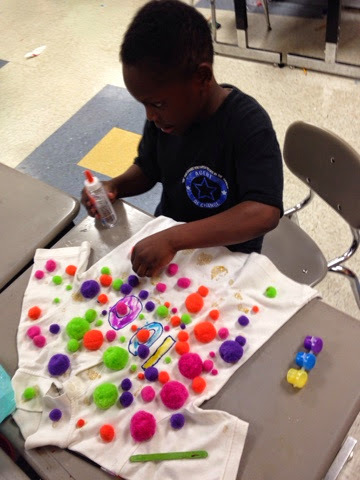 We talked about different examples and creative ways to put 100 items on their shirt. 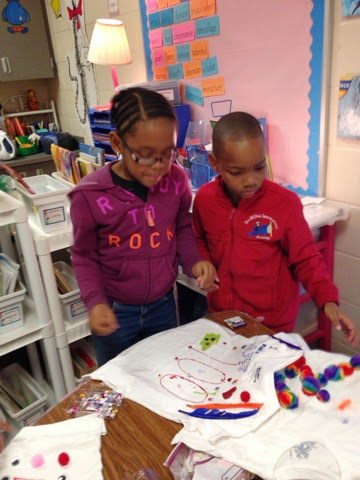 On Thursday and Friday, we actually created them! 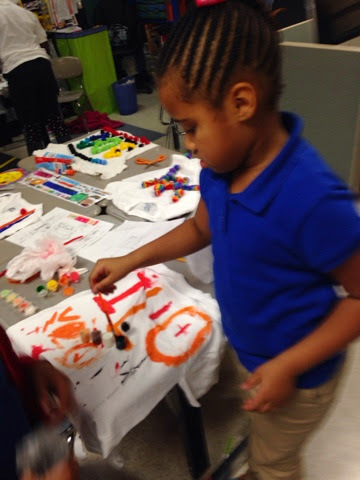 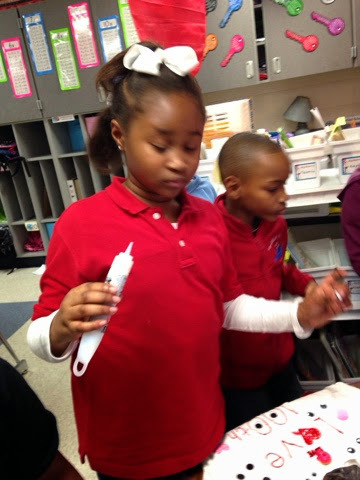 Students brought in their t-shirts and 100 items along with paint and glue. 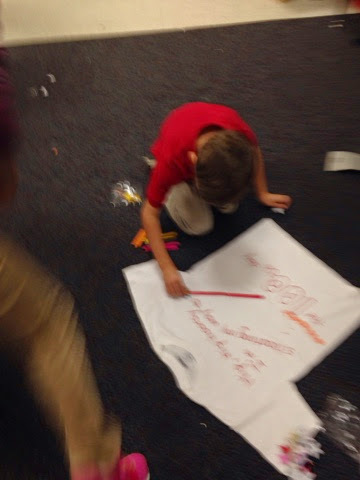 The classroom was a mess, but the students thoroughly enjoyed making their ideas come to life. 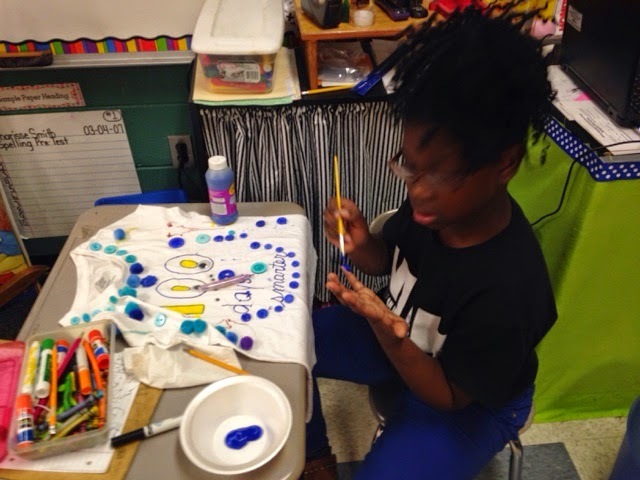 Students will wear their t-shirts on January 26th (the 100th day of school) and will be marketing them and trying to "sell" them to other students.